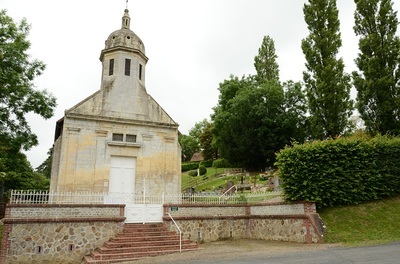 Brucourt is a village and commune 20 kilometres north-east of Caen, 27 kilometres north-west of Lisieux and 4 kilometres north-west of Dozule. 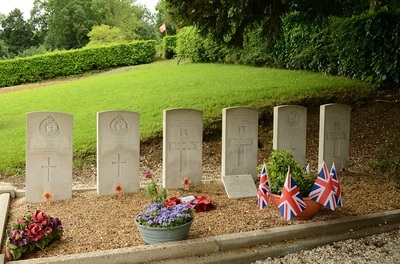 This is the nearest town to Brucourt, and is 25 kilometres from Caen. The church is 450 metres up a narrow lane leading north-east of the D49 (Dozule to Cabourg) road. There are 6 Commonwealth burials of the 1939-1945 war, at the top of a steep slope, 20 yards north of the north-west corner of the church. 138059 Captain Frank Alan Kilbey, 4 Airlanding Anti-Tank-Battery, Royal Artillery, died 6th June 1944, aged 25. 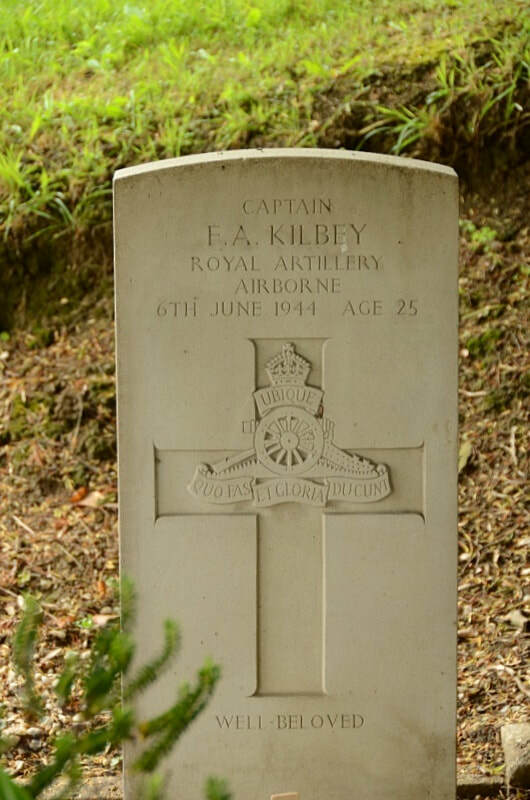 Son of Charles Joseph and Agnes Kilbey, of Erdington, Birmingham; husband of Barbara Kilbey. 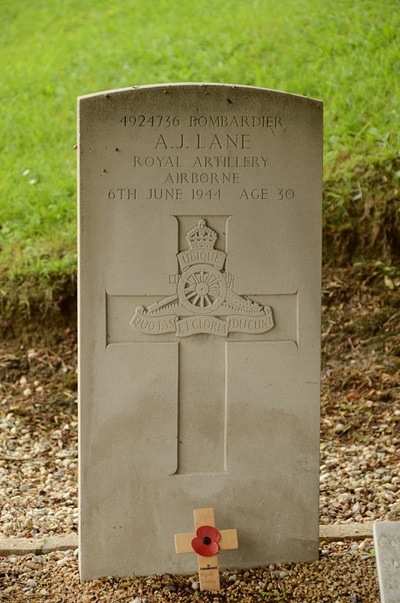 4924736 Bombardier Alfred John Lane, 4 Airlanding Anti-Tank-Battery, Royal Artillery, died 6th June 1944, aged 30. 14207469 Gunner Paul Lazaropoulo, 4 Airlanding Anti-Tank-Battery, Royal Artillery, died 6th June 1944, aged 30. 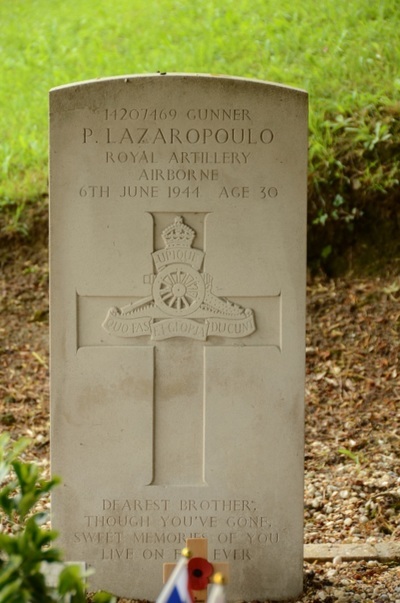 Son of Constantine and Eleni Lazaropoulo. 97003462 Private John Edgar Leach, 224 Parachute Field Ambulance, Royal Army Medical Corps, died 6th June 1944, aged 33. Son of Fred P. and Emma Leach, of Bishopston, Bristol. 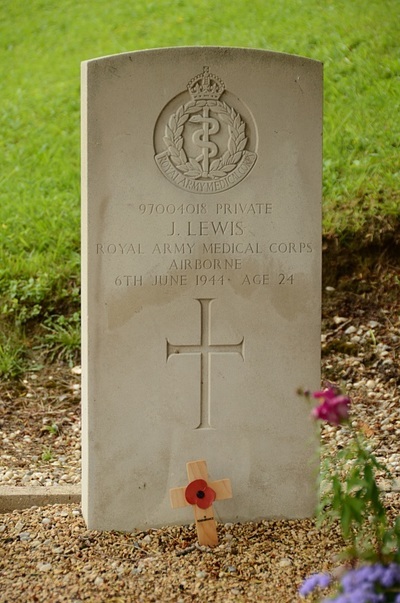 97004018 Private Jack Lewis, 224 Parachute Field Ambulance, Royal Army Medical Corps, died 6th June 1944, aged 24. 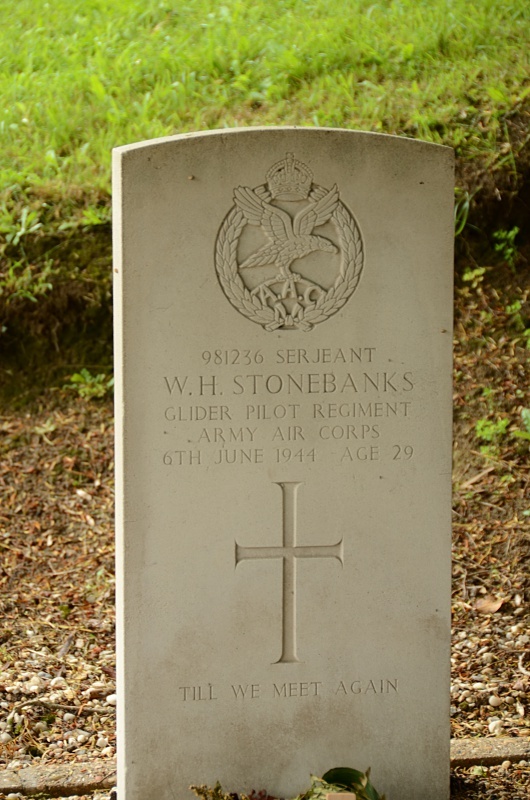 981236 Serjeant William Henry Stonebanks, 1st Wing, The Glider Pilot Regiment, A.A.C, died 6th June 1944, aged 29. Son of William Henry and Annie Stonebanks, of Northampton; husband of Alice. 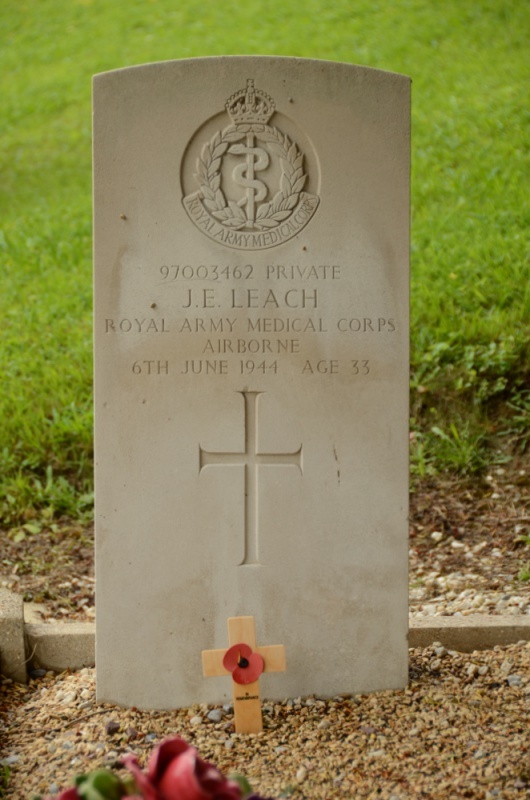 Lucy Stonebanks, of Northampton.